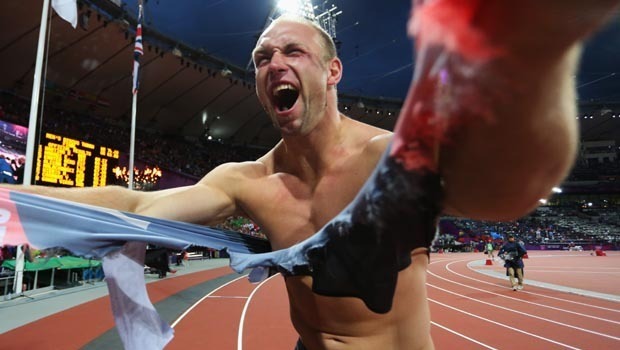 Best Celebration of a Gold Medal YET!! I liked the part about – If I won you would have to epoxy my feet solidly to the ground for the next 20 minutes… or was it 10? Awesome! !